Cassie (Rosemarie DeWitt) is a real estate agent and single mom struggling to keep it all together during the housing crisis of 2009. 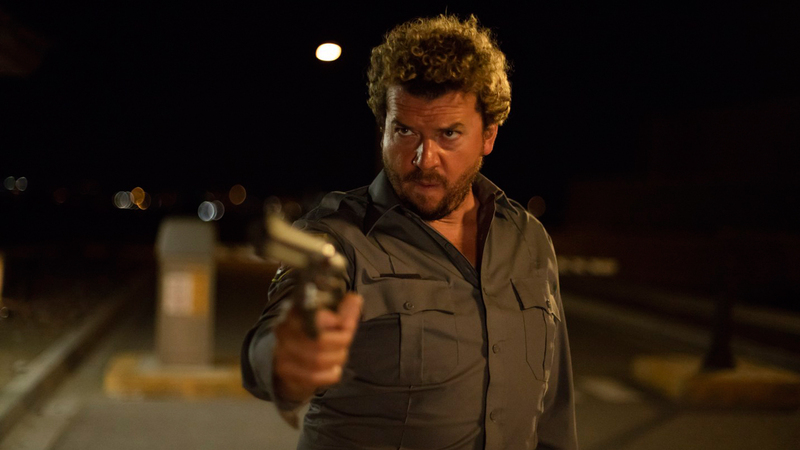 Her problems go from bad to worse when disgruntled client Sonny (Danny McBride) violently confronts Cassie’s boss and then kidnaps Cassie – making one outrageously bad, and bloody, decision after another until things completely spiral out of control. Arizona is the directorial debut of Jonathan Watson (2nd AD on HBO series Vice Principals). The script was written by Luke Del Tredici (30 Rock). Luke Wilson, Kaitlin Olson, Elizabeth Gillies, Lolli Sorenson, and David Alan Grier also star. Arizona will be simultaneously released in theaters and on VOD & Digital HD on August 24th. This might be good. I like McBride in pretty much everything even when I don’t like his character. Agreed. Good to see him trying different things, like Aliens, writing Halloween and now this.